February is coming to a close and we hope all of your Valentine wishes have come true. For us coastal folk, we have moved on to embrace another beloved holiday - Mardi Gras! Mardi Gras is a French term for Fat Tuesday, which roughly translates to party time in the Gulf South before Lent begins! Mardi Gras may hold the crown for the holiday with the most D.U.I.s here in the south, though all holidays tend to boast parties and drinking adult beverages. Even though we have our eye on the Mardi Gras prize, we haven't forgotten how much we love all of you or our love of safety. The impact of Driving Under the Influence can go beyond measure. If you've simply gotten a ticket and lost your driver's license, consider yourself fortunate. Drunk driving always has the potential of taking lives or ruining lives at the very least, including your own. Fortunately, the unhappy endings caused by drunk driving incidents can be avoided by planning ahead. When making plans to attend an event where you plan to consume alcohol, include a designated driver or taxi service in your plans. When hosting an event that you intend to serve adult beverages to your guests, have a secure plan in place to prevent your guests from driving home drunk. Have the phone numbers for your local taxi services on hand or a sober person available to drive your guests safely. We all know alcohol is more than able to scramble even the best laid plans; sometimes your designated driver decides to indulge, maybe you end up having a drink when you didn't plan to, or it's a busy night so the cab you ordered may take longer than you're willing to wait. But, what you may not know is that even if you drink lightly and feel totally sober, you can still fail the tests police officers use to determine if you have alcohol in your system. A D.U.I. conviction can result in possible jail time, a criminal record, lawsuits, fines, court fees, restitution, higher insurance premiums, revocation of your driver's license and a lot more problems. If a drunk driver is involved in an accident, expect a lot more negative back lash which could include harm to yourself or others. In other words, it can become a never ending nightmare for several people - a nightmare that can be easily avoided. Wondering what else you can do to help lower D.U.I. incidents? If you see someone about to drive while intoxicated, offer them a ride home with a sober person or taxi service. If you see someone on the road who seems to be driving impaired, contact the police immediately. Signs of impaired drivers include; weaving, driving dangerously, driving too slow, not using lights properly and other erratic behavior. When you encounter an impaired driver, do not personally attempt to stop the driver. Give yourself plenty of distance between your vehicle and the intoxicated person's. The average D.U.I. conviction costs an average of $10,000 in legal fees, fines, bail, and towing. This figure is only if there was no accident or injuries. In 2012 10,322 people were killed in alcohol-impaired driving accidents and 16,792 were severely injured. Alcohol is a factor in 26% -30% of the U.S crash costs to the public, estimated losses at $144 Billion in 2012. A severe accident without fatalities can cost an average of $400,000 in medical bills and property damage. These figures are staggering, but you can make a difference. 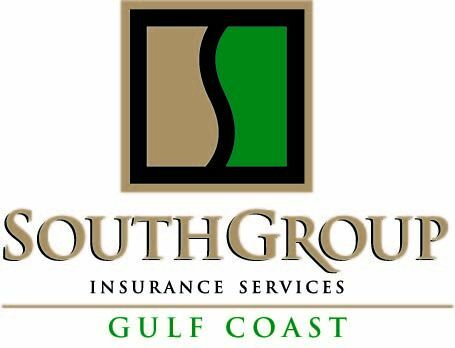 SALES AND SERVICE AGENTS: Angelyn Treutel Zeringue, Tammy Garfield, Tammy Hogue, Brittany Jones, Wendy Johnson, Denise Russell, Melissa Moran, Alex Treutel, Susan Monti, Anne Gillam, Ashlie Moody, Michael Reso and Whitney Zimmerman at SouthGroup Gulf Coast. You can reach us by snail-mail or in person: 412 Hwy 90, Suite 6, Bay St Louis MS 39520, email: atreutel@southgroup.net , phone:228-466-4498, fax:888-415-8922, FaceBook www.facebook.com/southgroup.gulfcoast, or Twitter www.twitter.com/atreutel ! Love yourself & love your neighbors by always having a safe plan when adult celebrations are in order. SouthGroup Insurance wishes you all a very safe an happy Mardi Gras Season! Love your heart? Let it know! Love your heart in the name of love!